This sample hazard identification and risk assessment tool for helicopter and snowcat skiing companies can help you identify hazards and prioritize risks for your operation. 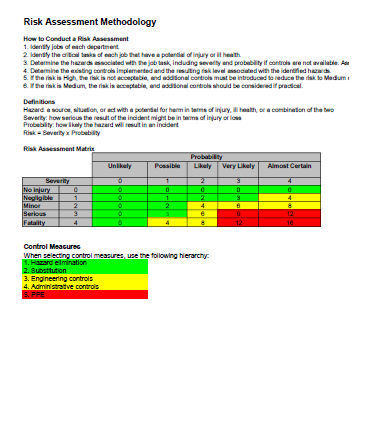 Environments and operating conditions differ for each company, so employers must conduct their own risk assessments. This resource was developed in collaboration with HeliCat Canada (HCC) and a Helicopter and Snowcat Skiing Technical Advisory Committee with representatives from 10 different helicat companies in BC.